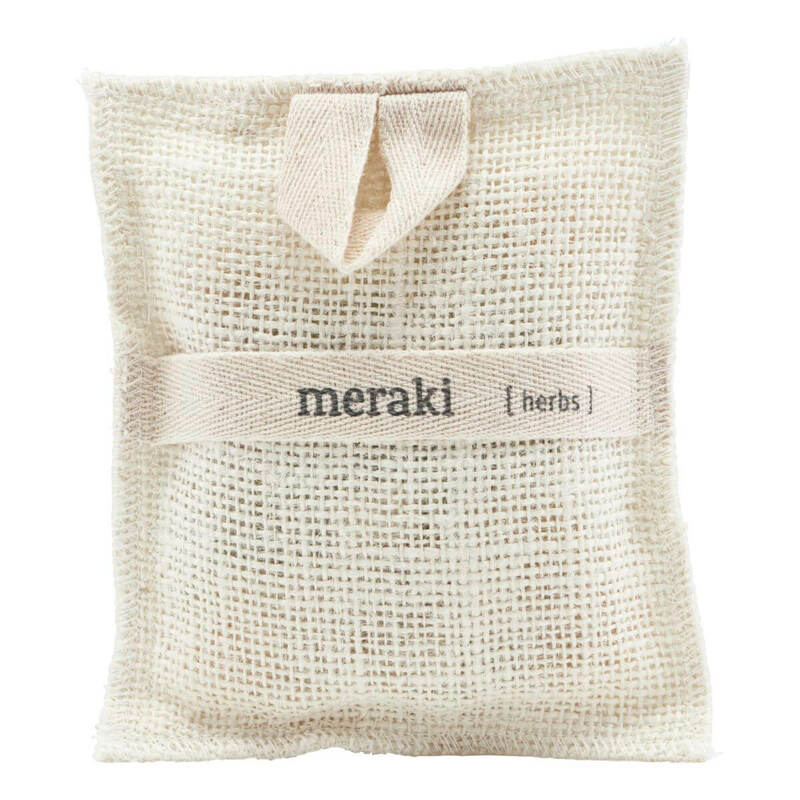 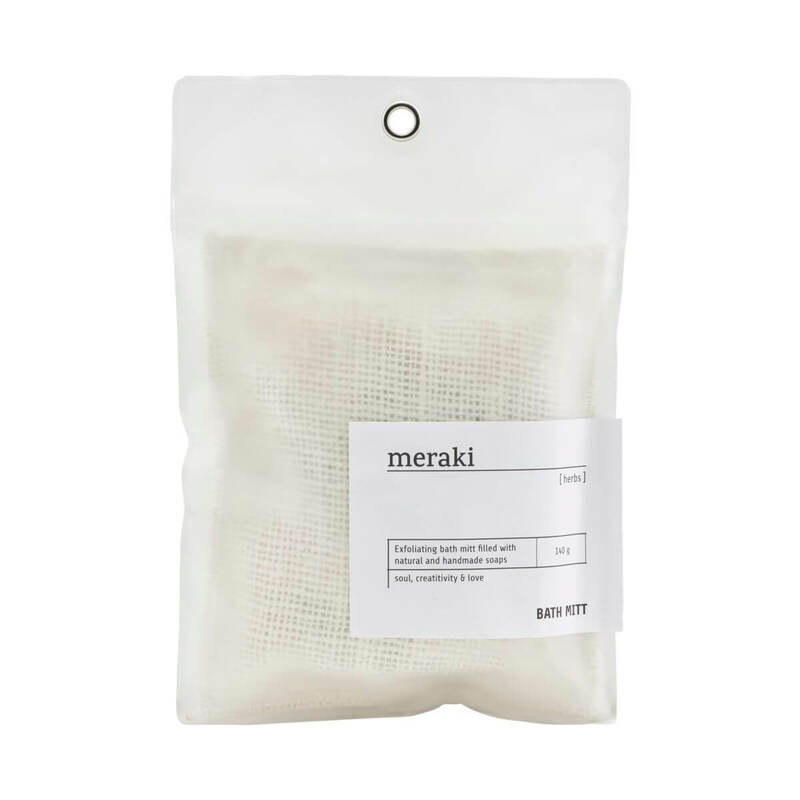 Gently exfoliate your skin while washing your body with the Meraki bath mitt. 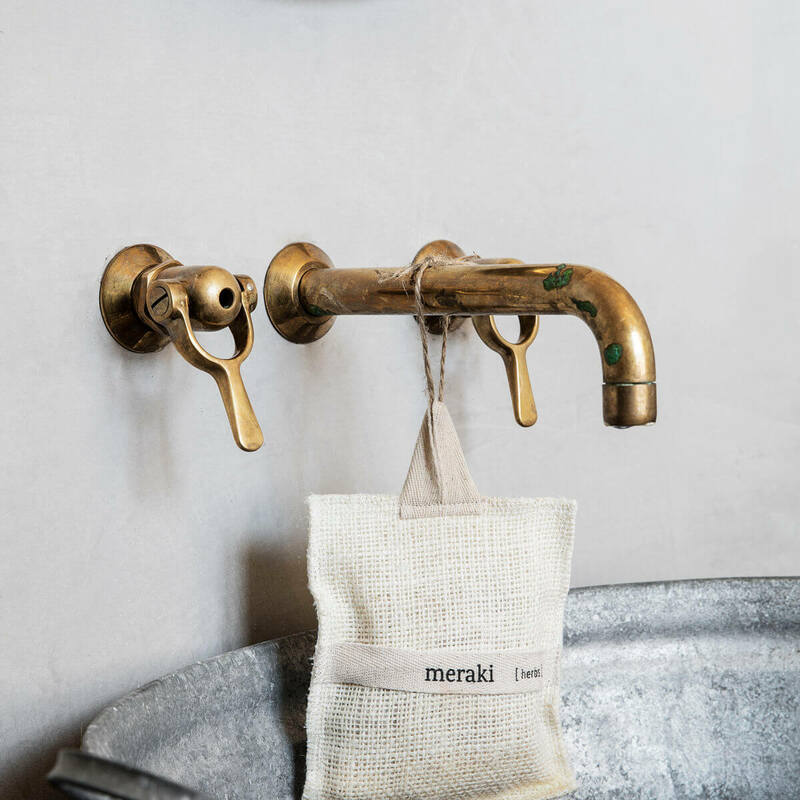 The bath mitt is made of 100% Jute and filled with hand-made soap that lathers when you wash your body. 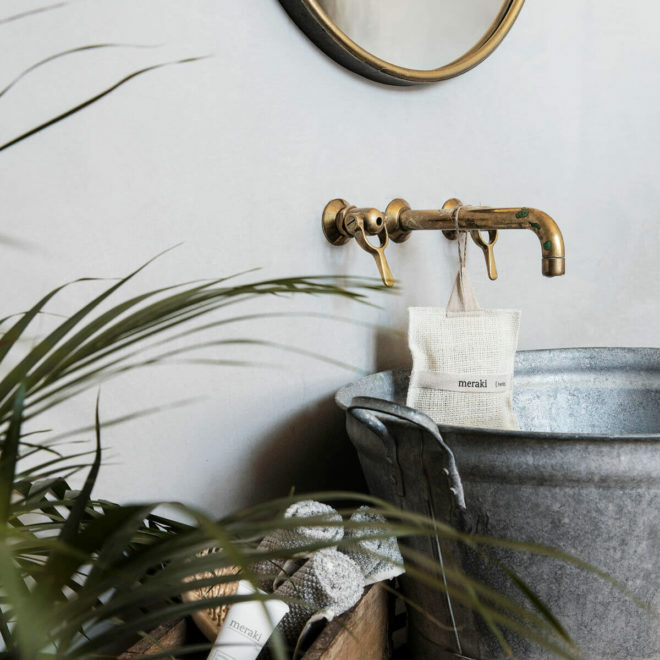 The soap has a mild scent of herbs. 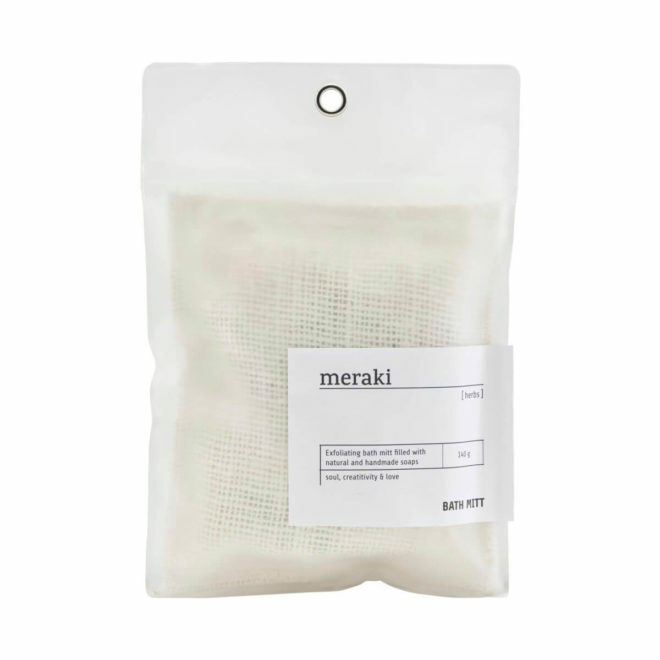 Wet the bath mitt with water before scrubbing your skin in circular motions. Rinse thoroughly with water.